Imagine this scenario. You play for your national team in the FIFA World Cup, on home soil no less. You help your team to their first ever victory in the competition’s history, only to go on and win again. Against all odds, you qualify from your group and are pitted against the footballing giants of Italy, a side oozing with talent. Imagine then, going on to give this side a testing match and forcing extra time, and imagine, if you will, scoring the goal, the golden goal, that grabs your side the victory. That particular scenario must feel pretty sweet, right? Well it was for the fans of plucky South Korea in the 2002 World Cup. For Ahn Jung-hwan, the scorer of that all important goal, sweetness very quickly turned to bitterness. How could it possibly turn so bitter? The Perugia forward may not have lit up the tournament like Ronaldo, Klose and Rivaldo, yet he was having a good go of things. He scored twice in that World Cup during South Korea’s run to the semi finals and was earning a lot of plaudits for his tireless style of play. Scoring the winning goal against Italy in the Round of 16 tie should surely have been the springboard he needed to elevate himself to the global audience, to potentially earn himself a move to a club with more prestige than middling Perugia. Sadly for Ahn Jung-hwan, quite the opposite happened. Although it has never been proven, there are a plethora of theories regarding South Korea’s remarkable run to the semi final, toppling the likes of Portugal, Italy and Spain along the way. Some of these results were attained in dubious fashion. Francesco Totti found himself sent off controversially by bumbling Ecuadorian referee Byron Moreno, while Spain were aggrieved to see not one but two goals ruled out in their quarter final match. Some believe that referees were nudged towards helping out the host nation, whose fans were doing a superb job of keeping the world entertained. Those who were new to football thought it was miraculous, a fairy-tale story of east-Asian David’s thwarting the European Goliaths. The older, more cynical viewer saw it as bias and bribery, designed to push forward a FIFA agenda. There may have been some justification for the suspicions surrounding Moreno. The Ecuadorian was later banned by his own country’s federation for numerous appalling examples of corruption. 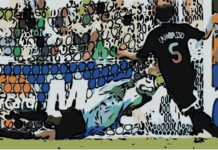 When officiating a match between Liga Deportivo Universitario de Quito and Barcelona de Guayaquil, he initially signalled for six minutes of stoppage time. In itself, it wouldn’t have been too unusual, except for the fact that he ended up allowing an astonishing 13 minutes, during which time Liga scored twice to win 4-3. The incident didn’t finish with the result itself. Moreno himself was bidding to become elected to a local government position in the Ecuadorian capital of Quito. The conflict of interest was so painfully obvious that he was banned for 20 matches. A further suspension for poor performance led him to quit, but not leave the limelight. Far from withdrawing from the public eye, he built on his obvious flaws by commercialising appearances on TV, before his coup de gras was finally delivered. In 2010 he was arrested for smuggling six kilograms of heroin in the United States, which he later admitted to resorting to after running up obscene amounts of personal debt. Having served time in prison, even Moreno couldn’t con anyone any longer. Whatever the case, be it fair play or foul, the Koreans still played their part. They didn’t ask for any favours, they didn’t play the victim, nor did they play without the rules of the game (though some of their tackling in the Italian fixture goes some way to counter this point). They had a tough, resilient style implemented by their Dutch coach, Guus Hiddink, and they made sure that they were always in the game. The Koreans simply didn’t care. They were making history. In 100 years the semantics of the matches would be long forgotten, but the fact that South Korea reached the World Cup semi-finals would still be in the history books, a feat unlikely to be repeated. They enjoyed their wins because to them, they won the matches on the pitch. While it must have felt like the world was against the Italians and the Spanish, the bottom line is that neither side did enough to progress. Italy had Francesco Totti, Christian Vieri, and Alessandro Del Piero in attack, with a defence consisting of Paolo Maldini, Fabio Cannavaro and Alessandro Nesta, marshalled by Gianluigi Buffon at the back. 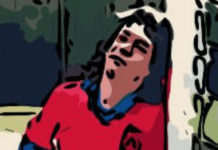 Spain had Fernando Morientes, Joaquim, Puyol et al. Both sides should have been strong enough to prevail, with or without the helping hand of the referee. The Italian and Spanish public were furious, and quite rightly so, but one tiny section of this group were more livid than most – those who supported Perugia, a modest club in the heart of Italy. They were mad that their own player, Ahn Jung-hwan, could have betrayed his own club, even though he was only on an extended loan. It was entirely natural to feel annoyed. Certainly, it wouldn’t have been totally unheard of to boo the player when he returned to his club after the culmination of the World Cup. What happened to poor Ahn Jung-hwan, however, was nothing short of embarrassing on the part of the Italians. Perugia owner Luciano Gaucci, in one of the highest profile instances of throwing one’s toys out of the pram, sensationally cancelled the forward’s contract. He stated that he had absolutely no intention of paying the wages of someone who had “ruined Italian football”, and in doing so changed the narrative of the entire unfair debate. Gone was the outcry of poor Italy, so harshly treated by the referees in the World Cup this summer. Now it was a verbal onslaught on Perugia, who were internationally lambasted for cancelling the contract of the Korean attacker. Regardless of whether or not foul play was involved in that World Cup, Ahn Jung-hwan obviously had no part in it. All he did was score for his country, yet Perugia were cancelling his contract, thus forcing him to move back to Asia until another European club pursued him. South Korean coach Guus Hiddink was one who strongly condemned Gaucci, stating that he believed the decision to be “childish”, and that the club was overreacting to the situation. He said that you would never hear a nation like England complain if Marcel Desailly scored against them for France, blacklisting him from the country, therefore it was mad of Italy and Perugia to exile Ahn this way. Naturally, there are two sides to the story, and Gaucci was quick to tell his perspective. According to him, it didn’t bother him that Ahn had scored against Italy. He said he wouldn’t have made this decision of the Korean striker had scored 10 against his country. He stated that he was making this decision based upon the post-match comments made by Ahn Jung-hwan, in which the striker claimed he believed Korean football to be superior to Italian football. So outraged was Gaucci by this comment that he felt betrayed, and that he couldn’t pay the player any more. His time at Perugia was not the most enjoyable time of his career. He struggled to fit in, needing a translator during his time in Italy and said he often suffered racial slurs, even before the World Cup. The account from Ahn does little to deter the reputation of Italy as a racially insensitive nation over the past few decades. When talking years later of his time in Italy, he references their captain at the time, Marco Materazzi. He refers to Materazzi as a bully, claiming that he would frequently shout at him and belittle him in front of the team. In particular, Materazzi would make jibes about how the Korean smelled of garlic, making Ahn so self-conscious that he gave up eating garlic-laden food that reminded him of his homeland. Given the reputation of Marco Materazzi, epitomised by his part in Zinedine Zidane’s red card at the 2006 World Cup, it is not a stretch to imagine these comments being truthful. Not everybody at Perugia was against poor Ahn Jung-hwan. His first team coach, Sersi Cosmi, contradicted owner Luciano Gaucci, stating that he believed that Ahn had enormous potential and that he would be happy to see the club extend the players contract another year. The sentiment was pleasant, of course, but it wasn’t enough to keep Ahn at Perugia. After a cooling off period, Gaucci apologised, even taking the steps to make the South Korean forward’s loan move permanent for a fee of £1.2 million. Whether this was a genuine move to improve his team or a way of saving face with the public, it mattered little. Ahn refused to sign the three-year deal, claiming that he had no desire to play for a team that doubted his character in such a way. It is a real disappointment that the most iconic moment of Ahn Jung-hwan’s career was the catalyst to such a vile story. He was a good player and scored goals for fun in Asia, though his record in Europe was rather sketchy. He earned himself a place at the next two World Cups in Germany and South Africa, scoring against Togo at the former. The 2002 World Cup was undoubtedly the peak of the player’s career, enjoying a couple of goals and some memorable moments during his nations remarkable run to the semi-final. It is such a shame that this miraculous moment has been overshadowed by such a heinous act, as displayed by Perugia owner Luciano Gaucci. While it was a shame for Ahn’s career in Italy to end the way it did, it is for the best that the player left the club. Ahn Jung-hwan went on to enjoy a great career back in East Asia, while Gaucci’s Perugia have slipped out of Serie A and flirted with extinction. Whether you sympathise with Ahn Jung-hwan or feel it’s a small bit of justice for being part of a team that got the rub of the green far too much, it’s hard to argue the impact that Ahn’s golden goal had. 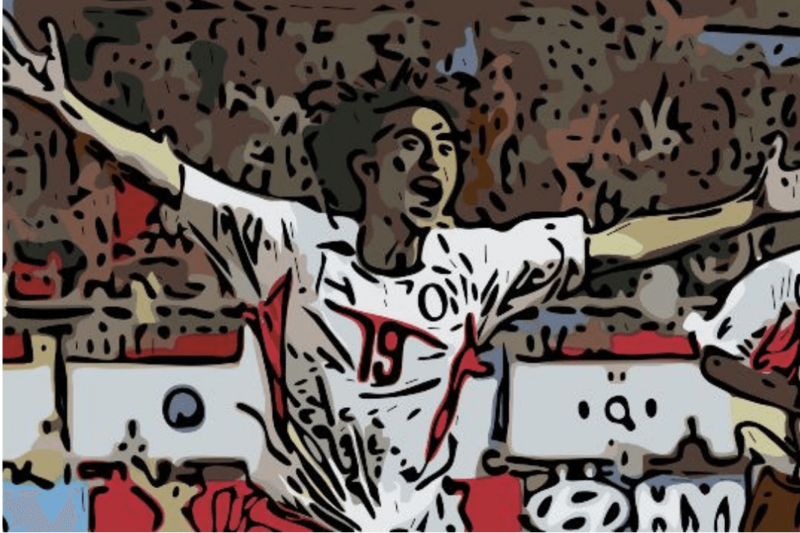 The FIFA World Cup is all about moments, and in 2002 South Korea’s hitman certainly created one of the more memorable moments in its history. 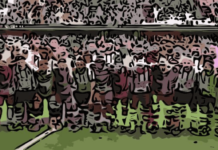 Next articleGround-Sharing In Football: Is It A Modern Reality?